Almost everyone knows that kung fu is a form of martial arts. But what some people might not be aware of is that there are different types and styles that fall under the category of kung fu. The style of kung fu that I practice is called Five Ancestors Fist or (Ngo Cho Kun) and it is derived from the Bodhi Dharma, Luohan, Tai Cho, Fujian White Crane, and Monkey systems of kung fu. Kung fu has such a broad history with very complicated and diverged lineages. There’s simply too much in the way of styles, techniques, and philosophy for any one person to be able to absorb. It’s generally believed that the father of kung fu was Bodhi Dharma. However, it has branched out so thinly, with some styles even practised underground, that we will probably never know how many styles or masters there have been. If you’ve heard about kung fu, you are probably familiar with the more popular styles. I’m pretty sure that just about anyone who knows anything about kung fu has heard of the Wing Chun style. Bruce Lee at one point practised Wing Chun before adapting it to form his own style. Wing Chun was one of the largest influences in Lee’s study and development of martial arts. In a way, Wing Chun is a father style to Bruce Lee’s own style of Jeet Kune Do. The origins of the style date back hundreds of years and it’s unclear as to where it actually began. There are a number of rumours, or legends, regarding the history of the style that were told deliberately to confuse and thwart the enemy. My favourite is the story of Yim Wing-Chun. This tells the tale of a strong warrior woman who challenged a Chinese Warlord in a fight. He had asked for her hand in marriage and to avoid the union, she defeated him and then declared that she would only marry a man who is stronger than she. If the story I was told is accurate, then she never married and lived forever as a fierce independent woman. 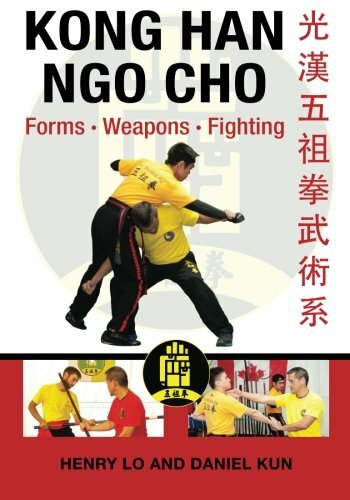 In terms of style and performance, Wing Chun is made up of a variety of hand techniques used for punching and striking. The style teaches you how to defend yourself from an attack while simultaneously launching your own offensive strike. Honestly, the first thing that comes to mind when I think of kung fu is the Shaolin Monks. I can easily picture the uniformed monks in their orange garbs balancing on poles and practising their flexibility. This style of kung fu integrates Buddhism into kung fu. Shaolin Monks are extremely devoted to the training of martial arts and are deep practitioners of understanding the connection to philosophy and spirit. The Shaolin Monks began training in the art of fighting because there came a time where they needed a way to defend themselves and their way of life. There are actually programs that offer training to foreigners at various temples. One day, I would like to go through such a program and perhaps spend as long as 2-3 months there. Their style is a combination of technique application, flexibility training, strength conditioning and weapon mastery. This is a very interesting style to watch as it applies different tumbling, jumping and rolling skills along with various techniques of acrobatics. The five ancestors system in part derives from this style. We’ve all seen Kung Fu Panda right? I have to say, it was one of my favourites. I love how they use the animals based on the kung fu styles. Tigress uses the Tiger Claw system, Monkey uses the Monkey system, Crane uses the Fujian White Crane system, Viper uses the Snake system and Mantis uses the Northern Praying Mantis system. Even Tai Lung uses his animals system, the Leopard system. Being able to incorporate the appropriate style with the animal accordingly is what I love this movie. That and also, who doesn’t love a bunch of talking animated animals? The monks from the Shaolin Temple used to study the movements of animals and how they would behave in a fight. Through analysing these animals, the monks were able to incorporate the moves and techniques into kung fu. There are quite a number of animal styles developed based on the movements of different animals. If you pay attention you can definitely see how the animal kung fu styles mimic the motions of their respective animals. Snakes use quick rapid attacks, monkeys are agile and acrobatic, tigers use their claws, and so on. The five ancestors fist style incorporates both the Fujian White Crane style and the Monkey style. Kung fu is a term adapted in the 19th century, mainly in the west, and has since become accepted to relate to or mean Chinese martial arts. The actual Chinese term for martial arts is Bu Sut or Wu Shu. The actual meaning of kung fu is special skill. It can relate to the special skill in medicine, cooking or martial arts. Another misconception about kung fu is regarding the belief that the father and founder of kung fu was Bodhi Dharma. It should be noted that he is the founder of Chinese Buddhism or Shaolin as he brought the system to China. Kung fu, however, is a martial art that existed before Bodhi Dharma or Shaolin. Most kung fu styles were created outside of Shaolin. As a matter of fact, the martial art patron saint is General Guan Yu, the famous warrior who wielded the invincible crescent moon pole blade as well as other weapons, such as Da Dao, Tan Dao, spear, tridents, and more. Next: Next post: Does trust have a place in kung fu?